Silky faux fur adds lush dimension to the wide lapels of a cropped, double-breasted jacket finished with chunky ribbing at the cuffs and hem. Color(s): black/ bittersweet. Brand: kate spade new york. 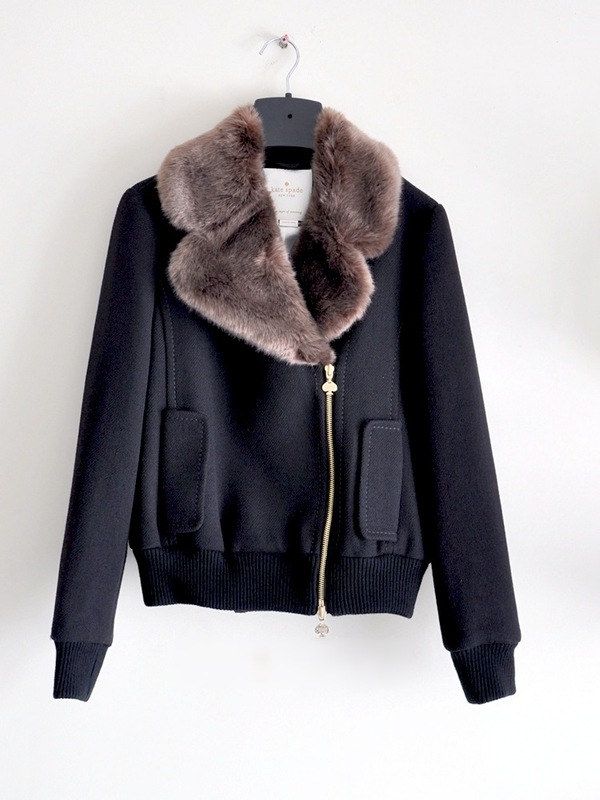 Style Name: kate spade new york 'trina' faux fur & wool jacket. 23 1/2" length (size 8). 100% wool with 100% acrylic faux fur.